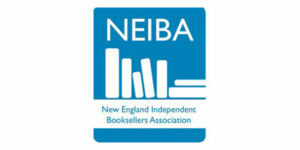 In tandem with this recognition, the July 11 edition of NEIBA News leads off with a feature article on Kate that reads, in part: “Kate has always loved books, and was known to spend way too much time in the local library as a child; she even became a library volunteer during Junior High. Her first paying job with books was at Barnes & Noble in downtown Boston, where part of her job was to work with publisher reps on backlist orders, and she eventually became one of them as the NE rep for Pocket Books. After a couple of years she moved to Washington, DC to work for Ballantine Books but discovered that the mid-Atlantic states were a little too warm for a northern girl and moved back to New England. Due to some perfect timing (and Chuck Dresner) she became a rep for the Random House Merchandise Division, later renamed Random House Children’s Books, and the rest is history, a 31-year history.